Get your holiday decorating started soon this year so you can admire your beautiful home longer. 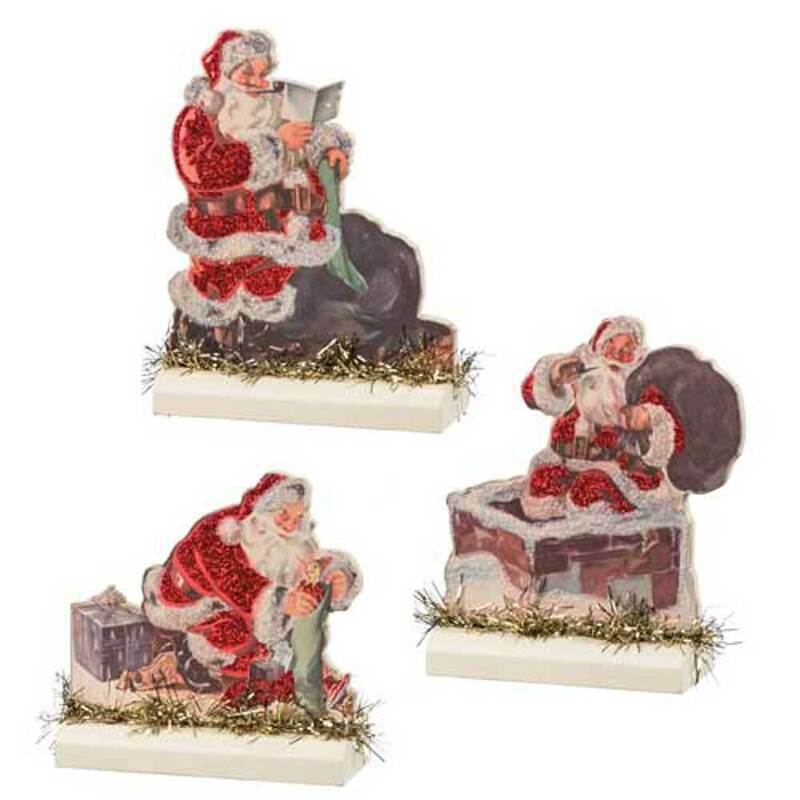 The Santa Stand-Ups come as a set of 3. One Santa is reading his list, another Santa is hopping down the chimney and the last Santa is filling a stocking with goodies for good little girls and boys. 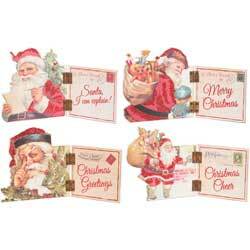 The Santa home decorations are made of wood, paper, tinsel, glitter and the largest measures approximately 3.5" x 4.5".